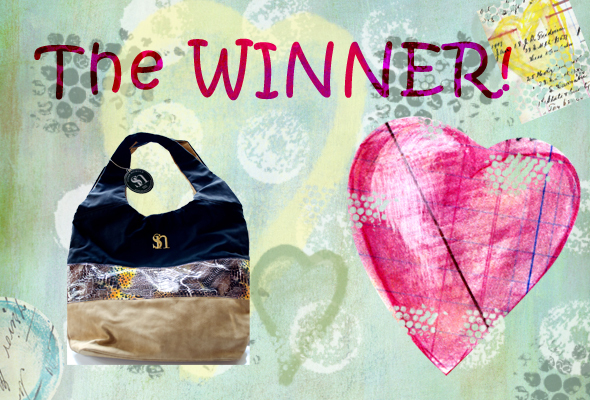 Home » My Homestead » Giveaways » Vegan Handbag WINNER! WOW! the entries were all amazing!!! I’ve been dying to respond to everyone, but didn’t want my comments to get mixed in the numbering. I think I’ve followed everyone back on Twitter though..oh how fun!! Now, don’t be too sad if you didn’t win, I have another Susan Nichole handbag to give away starting next Monday. A shorter entry time (only a few days) so I can hopefully get the bag to the winner by Valentine’s Day! I’ll be giving away the Chloe bag in the color Clay. Ready for the Winner of the Trinity bag?!?!? 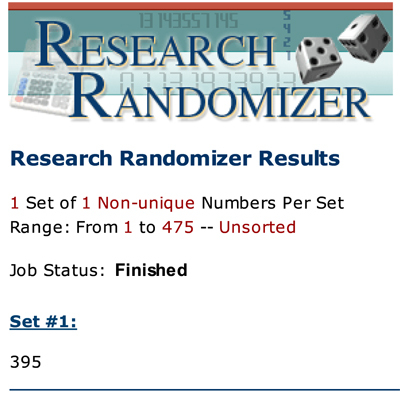 Comment number 395 belongs to Adrien Beatty!! Congratulations Adrien! I’ll be in contact to get your shipping address. I hope everyone will return next week for the Valentine’s Giveaway! P.S. If you have time today, could you vote for my blog over at the Circle of Mom’s site? It just takes a second, no information is asked for, just click the “VOTE” button to the right of Lita’s World. Thanks a Million! « Are You Ready for some VEGAN Football?! Congrats! And I just went and voted for you, and it pushed you up to #6! Yay! I want the Chloe bag please! put me in the drawing!